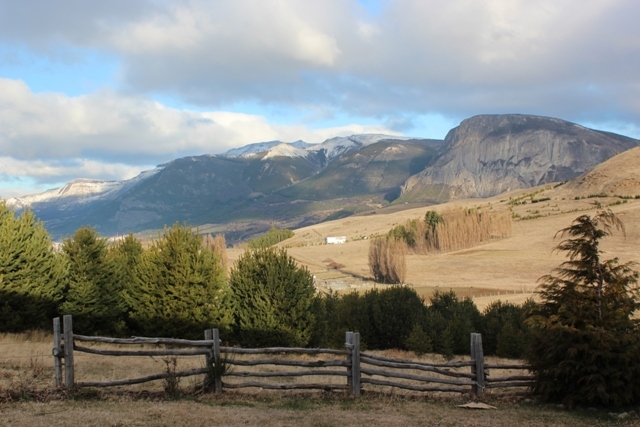 Our Chile volunteers have finally made it to their new home for 12 weeks – Coyhaique. After many hours of travel and several days settling in Saskia has shared her thoughts from her first few days. The fact that I have been living in Coyhaique, Chile for a week already feels very strange, on one hand it feels as though we’ve been here for months, and on the other I can’t quite believe that this long awaited trip is really happening. Naturally it’s been a bit of an emotional rollercoaster but I’ve enjoyed the ride all the same. The scariest part of the week was definitely leaving initially. It has to be said, standing on the other side of airport security ready to board 3 planes and travel 13000 km away to the other side of the world was pretty scary. Luckily, as we picked up various other Oysters in dribs and drabs along the way, I managed to forget about the nerves and focus on getting to know the people I would be spending the next 12 weeks with. The process by which we identified our fellow volunteers was very amusing; the key features became: backpack (most likely Osprey), walking boots, and a sufficient amount of awkward eye contact. Eventually, all 9 of us made it. We spent the first 3 nights of our trip in a hostel run by a friendly, but adequately terrifying, Chilean woman named Marta. We took part in numerous activities throughout our first few days, whilst spending our nights huddled in sleeping bags and duvets as the freezing temperatures of Patagonia were quite a shock to those of us who had just arrived from British and American summers. 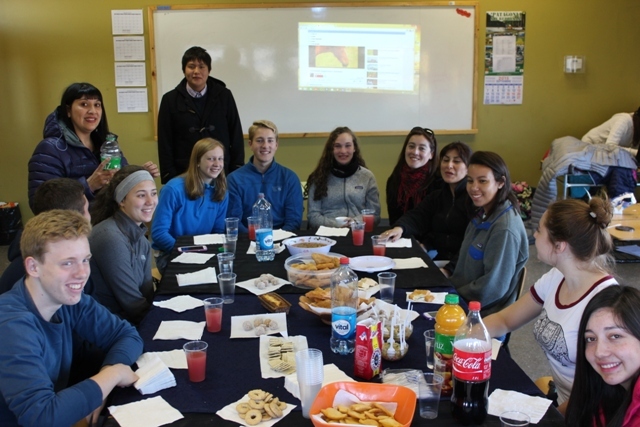 These activities included a tour of the town, the start of our Spanish course, and an introduction to traditional Chilean cooking. Halfway through the week, the time came for us to move in with our host families. I had no idea what to expect but it was definitely much easier than I had originally thought. From what I’ve experienced and heard from the others, all the families are lovely and the houses are great too: 12 duvets and a hot shower, what more could you need? The following day, Coyhaique’s Dieciocho celebrations began. Dieciocho is a yearly bank holiday held to celebrate Chilean independence and the long weekend provided us plenty of time to get to know both our host families and the local culture. For me these 3 days consisted of Cueca (a national dance which seemed to be performed on every other street), lots of meat, and so many empanadas. If you haven’t had the pleasure of trying one, an empanada is pretty much a South American pastie and is the most amazing food ever. I managed to eat 8 in one day…. After a ridiculous amount of food and a lot of trying – and failing – to converse in Spanish with numerous extended family members, we decided that on Sunday we would go for a day hike in the local national park. Considering this walk was practically at our doorsteps, the landscapes and surroundings were amazing. Even walking around town, I can’t help but stop to take pictures of the mountains encircling us every time we turn a corner. We walked up to a beautiful lake and had a picnic lunch in a small cabin before continuing on our first weekend outing, looking forward to the many to come! If hearing what the first few days in Chile are like has made you want to find out more why not check out our website. Next Post How can a gap year boost your CV? Previous Post Why travel alone?